We have proudly served our communities for 128 years and we remain focused on the philosophy t hat banking is, first and foremost, about the people we serve and that serving others is a privilege.  This year Legend Bank was named as a #4 Best Bank to Work For in the Nation by the American Banker and the #22 Best Company to Work for in Texas. 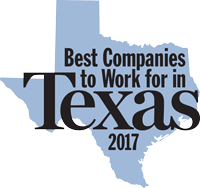 We are proud of this recognition and are honored that our employees evaluated us with such high regard. We are looking for employees that take pride in fulfilling the mission to serve others. If you want to connect with your community through our history and legacy, please inquire about a position that would be a good fit for you. Provides teller services to include processing transactions such as deposits, withdrawals, and cashing checks. Utilizes knowledge and judgment to assure the validity of transactions processed. Must provide sincere, responsive customer service. Greets customers and non-customers as they enter the bank. Accepts and verifies customer deposits; and processes loan payments. Cashes checks and processes less cash transactions within their authorized limit; obtains supervisor’s approval to process transactions which exceed their authorized limits. Follows procedures to avoid fraud (verify identification, mark up account, etc.). Safeguards and balances cash drawer to $0.00 outage each day. Maintains cash drawer limits as specified. Completes applicable logs and assists with all end of the day balancing procedures as applicable. Meets or exceeds all goals determined by retail management to include referrals, balancing, attendance and others as applicable. Follows compliance procedures of reporting applicable transactions such as CTRs, SARs, other monetary logs, Regulation CC holds, and internal audit procedures. Provides a consistent level of customer service in accordance with the standards determined by branch management and regulated by retail mystery shops. Maintains the security and confidentiality of pertinent information and records. Demonstrates flexibility in responding to additional duties, projects, or schedule changes as assigned or directed. If you are interested in submitting your resumes we'd love to hear from you. Please send your resume and cover letter to jobs@legend-bank.com , attention Jacqueta Moore. Mrs. Moore can also answer any questions you may have about our available positions or our culture. Legend Bank is an equal opportunity/affirmative action employer. 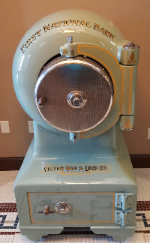 Step back in time and explore the history of Legend Bank.